BEVERLY HILLS, Calif., July 31, 2013 /PRNewswire/ -- A Beverly Hills home listed at $2.5 million and sold within 10 days at $100,000 over asking price with multiple-offers. A bank real estate owned property listed at $4.9 million and received 21 offers—some were $250,000 over asking price. Far from exceptional, homes throughout Los Angeles' Westside regularly receive five to seven offers according to Myra Nourmand, a Realtor and author of From Homemaker to Breadwinner. With low inventory and high demand for premier properties, it's hard to believe real estate's near-death experience took place a mere five years ago. "Even last year, would-be buyers were wondering whether the market had reached bottom. But with prices consistently rising, buyers worry if they don't act now, the price on the next home will be considerably higher three months down the line," says Myra, who specializes in high end homes in Beverly Hills, Bel Air, Holmby Hills, Brentwood, Pacific Palisades, and Malibu. According to Myra, listings between $2 to $10 million are selling fast. "A seller's biggest concern is whether the sale will close. The bottom line is that they want to be assured the transaction will be seamless and smooth," says Myra. Thus she recommends buyers demonstrate how they are best qualified to meet the seller's needs. Providing details about the buyer such as his or her occupation, length of employment, place of business, years of marriage, and children's ages reveal consistency and commitment. In addition, financial statements prove a buyer can afford the purchase. Buying a home is as much a personal decision as it is a financial one. Thus explaining the reasons a particular listing is a perfect fit for the buyer adds a face to the transaction. Myra describes how one of her buyers was an artist. "She saw the guesthouse at the end of the yard. She immediately knew it would be the ideal place to work. Having an art studio made the listing the home of her dreams. So we added that information to the letter," she says. As the saying goes, "Real estate is about location, location, location." Buyers should highlight the neighborhood's appeal. For example, if the home is located close to work, buyers can describe how they look forward to experiencing a higher quality of life due to shorter commutes. In addition, if they have children, the letter can state how they anticipate sending their kids to high quality local schools. Or, if buyers are empty nesters, they can explain how they look forward to walking to nearby restaurants and retail areas. Myra recommends that agents compose the buyer's letter on behalf of their clients. So if you're planning to place an offer on a home, write down how the listing appeals to you. "Describe what works. Imagine you were the seller, what would you like to hear? Then discuss with your agent the role a letter will play in the offer," says Myra. With residential real estate in high-demand markets showing a strong comeback, you must stand apart from your competitors. The buyer's profile demonstrates your strong financial position and commitment to closing a deal as quickly and smoothly as possible. 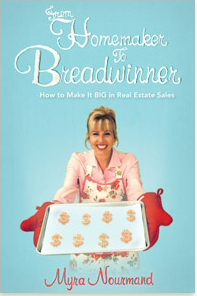 To learn more about high end real estate sales trends and the book, From Homemaker to Breadwinner, visit Myra Nourmand's blog at http://www.homemaker2breadwinner.com. Beverly Hills real estate market is a great place to live in. You can get a wide variety of listings for homes for sale in this beautiful city. We must predict what could happen in our business. Start observing other Real Estate Investments Australia so that we can understand how things run. We need to enhance our skills and create a better plan with what we have learned. Every potential that we can grab for our business is necessary for our investment to succeed. Its not a bad idea to get information from other Real Estate Investment in Australia to ensure our success. Its good to keep everything intact and make anything possible for the success of our business.